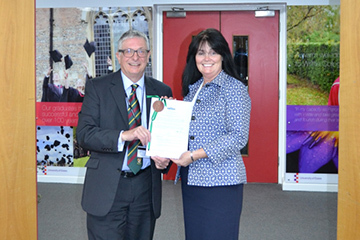 Writtle College is celebrating having been awarded University College status and will now be changing its name to ‘Writtle University College’ from August. Established in 1893 and located just outside the city of Chelmsford, Writtle has a long history of providing education related to the land, environment, animals, design and sport. This is the second milestone achievement in the space of a year for Writtle, who were granted Taught Degree Awarding Powers in March 2015 and means Writtle are able to provide their own degree courses from September 2017, instead of University of Essex validated degrees. Chair of Governors, Julia Smith, added: “As Chair of the Board of Governors and on their behalf, we are extremely proud of this achievement for Writtle and this is a credit to the efforts of all the staff, very ably led by Dr Waite." Writtle, who has enjoyed a partnership with the University of Essex for a number of years, will have its final intake of students for degrees validated by the University of Essex this September.